Discover behind-the-scenes secrets of Harry Potter and the Goblet of Fire as we launch a special feature dedicated entirely to the fourth instalment of the magical film series, revealing secrets behind the characters, costumes and props that made it so special. 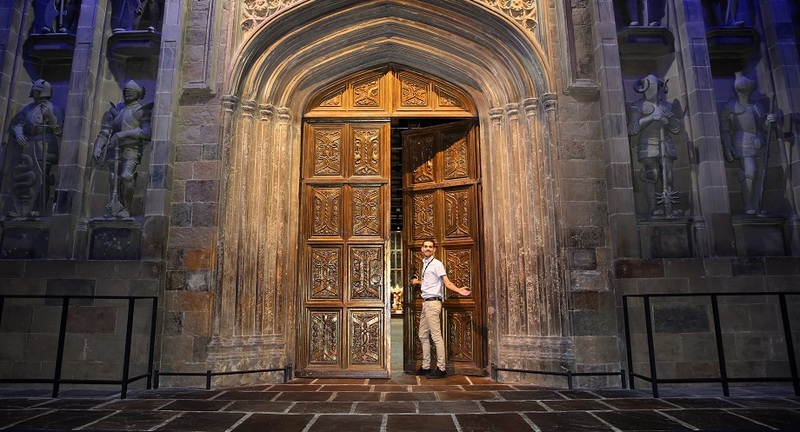 As part of the feature, The Goblet of Fire will be returned to the Great Hall for the first time since filming wrapped in 2010. You will see a live Special Effects demonstration showing how the Triwizard Champions’ parchments were expelled from the Goblet, and receive a souvenir parchment to remember your visit. Harry Potter fans will remember Harry’s trip to the Prefects’ Bathroom on the advice of Cedric Diggory, after completing the first challenge of the Triwizard Tournament. 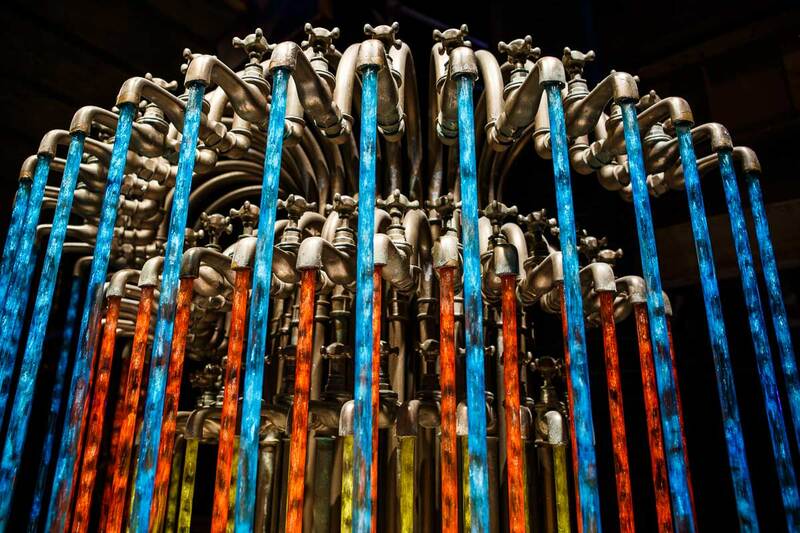 From 30th March, the iconic Prefects’ Bathroom taps will be displayed in the Studio Tour complete with multicoloured water running from each of the 53 spouts, just as seen on-screen. Created by award-winning Special Effects Supervisor, John Richardson, the taps were cast in real bronze for strength and durability on set. 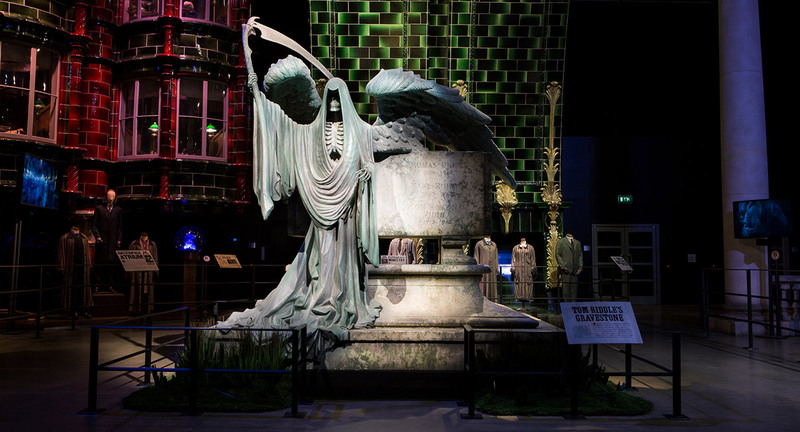 You will also discover behind-the-scenes secrets of He-Who-Must-Not-Be-Named in a display demonstrating how Voldemort’s seemingly simple costume was adapted to show both his strength and vulnerability throughout the films. 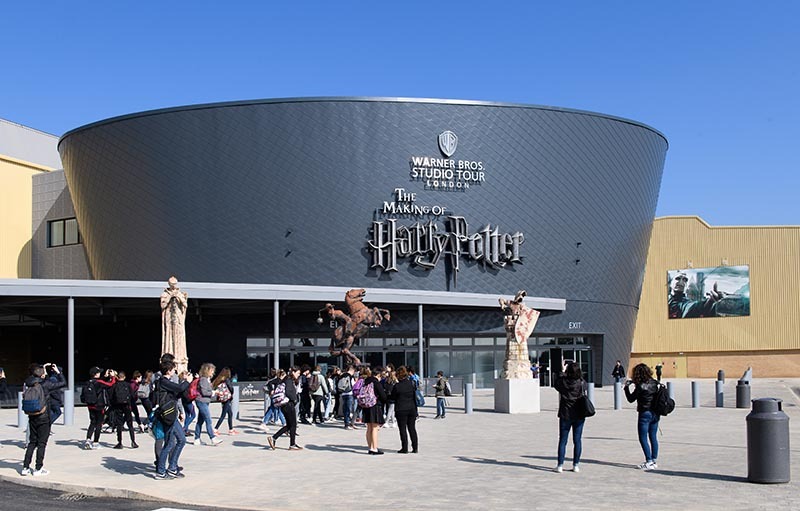 In addition, many new props and costumes from the Triwizard Tournament will be on display including the boot Portkey that transported Harry, Hermione and the Weasley family to the 422nd Quidditch World Cup. Tom Riddle’s grave will be displayed in the Studio Tour allowing a 360 degree view of the sculpture, providing the perfect photo opportunity for fans of the Dark Arts. The sculpture was created before the details of Voldemort’s lineage were known meaning the dates had to be changed in post-production. Lastly, you will see a new addition to the majestic Hogwarts castle model; a scale version of the Beauxbatons carriage complete with winged horses poised to land on the Hogwarts grounds for the first time ahead of the Triwizard championship. The Goblet of Fire will run from Friday 30th March 2018 – Sunday 23rd September 2018. Tickets must be pre-booked and all extra features are included in the ticket price.